ArsTechnica reports that Neil Young’s Pono Player is facing some tough times right now. Not having much more capital left, they are unable to expand to new markets. It is hard for me to believe there is any real growth in a market that even Apple, the portable music player leader, is pulling back from. Having recently demoted iPods to the accessory rack in their own stores, nothing more could signal weakening demand. Couple that with the fact that no one can easily tell the difference between the “hi-fidelity” pono player and “lower quality” music players, spells a tough business case for expansion. The dire market and business case also tells why it is difficult for them to find a CEO. I don’t think anyone will want to take that position without a bit of a parachute and an assurance. The player is definitely something niche that could fill a role, but it is definitely something that will never be much more than that. 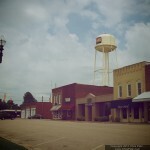 While riding around in the country to snap some shots, I wondered into Landis NC. 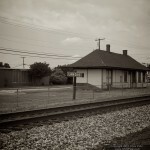 About 30 minutes up I-85 between Kannapolis and Salisbury is this small town that makes you think time forgot it. 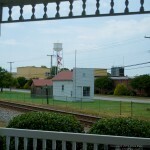 There is a rail line that runs right through the center of town, with a mill (still running) on one side and downtown on the other. These are a few of the shots (more to come) with a few worked on to make them have a bit more of that old time feeling. Microsoft is looking to release Office 2016 next month bringing the version to the same version of Office for the Mac. A leaked screenshot was released at Ars Techinca. So far it looks like it is not much of a feature upgrade, but mostly an aesthetic update. The biggest change is the title bar being the bright flat color of the icon. This is similar to the Windows store versions of the Office suite, but with all the functionality. I’m not sure if this is what everyone had it mind when it MS promised that the new constant update cycle. I think more substantial feature changes on a quarterly-like cycle were more what we expected. I’ve always been skeptical that they would ever be a quick release cycle with major features. I was looking for something to watch on Netflix this afternoon that wasn’t an episode of Sons of Anarchy. The Hurt Locker appeared in a list of recommendations and I thought why not. Let’s just say, color me disappointed. This interesting article by esquire takes a look at a Canadian trucker who makes his living riding the roads of the U.S. And Canada. Always an interesting view of life on the road. In an interesting twist he bashes the commercial driving regulations of the states, since he has to rake more breaks and be on the road less. It definitely goes against the usual narrative that the U.S. Is beholden to corporate interests and overworking people versus our neighbor to the north. The fuel issue is one of economics I don’t think he gets as well. In the U.S. There is no reason for us to include additives, that are probably bad for the environment, in our fuel in that it never gets to negative 40 here ( in most areas). I would surely never buy warm weather fuel if I was heading to the frozen north. Sounds like certain death to me. Since I’ve upgraded my work laptop to Windows 10, Microsoft has released a few cumulative patches that have addressed not only security updates, but addressing bugs that surfaced since release day. Having done the upgrade that Saturday of the release week, these cumulative updates have done a good job of cleaning up bugs in the OS. Peter Bright at ArsTechnica has a quick write up detailing the fact that Microsoft has been quiet regarding the contents of these updates. I’ve noticed as well that these large updates change a lot of files and don’t detail what other fixes are included. This is definitely frustrating when you have a bug in the OS that you hope is being fixed. I don’t think anyone is expecting a explicitly granular release note list. Some sort of indication would be nice that an issue is fixed, whether the list or a closed issue in the feedback app. As an aside, if you are using Windows 10 and having issues the feedback application in the OS is invaluable. You can report new bugs and issues or up-vote existing ones that pertain to your issue. Just hit the start menu and type in ‘feedback.’ This will give you a link to a Trusted Store App that will allow you to enter issues. Tom Simonite writing for MIT Technology Review, is taking Google to task for not having a standard method for updating Android on cell phones. His point is that because Google has left themselves no way to update the core OS on an Android phone quickly, they themselves built a giant security flaw into Android. I have to say I do agree with him. The Google update model of Android has remained unchanged since its inception. Versions are almost fully tied to the smart phone they are on. The carriers have all the power to ruin, crap up, and deny pushing a release to any phone. Just the sheer breadth of hardware Android runs on makes it impossible for Google itself to update the OS. Couple that with the fact that all of the engineering and testing involved for a patch to a phone has no economic incentive for the handset maker. All this leads to a system where the phone you buy has the OS that came with it until the day it dies. This system harkens back to the Windows Mobile days. Microsoft at the time would be rolling out patches and updates to the OS that were doing things like enabling on device ActiveSync or better browser features. The problem became the only way to get these new features (save for a few flagship models) was to buy a new phone. And because MS would not release things like a roadmap or new information, you could drop five or six hundred dollars on a new phone that would be out of date the next day. It was this aggravation that had me switch to Apple many years ago when I got tired of using the ancient OS on my Palm Treo. Android would never be updated on the current phones and iOS was gaining new features on old hardware. Having been bit before, I begrudgingly(at the time) decided to make the leap. Google themselves have tried to address this issue numerous times with different programs such as the Open Handset Alliance. The problem with all of these programs is that they don’t have any benefit to those that bear the burden of the program. The carriers don’t care and have to spend money to certify new OS versions. The handset manufacturers don’t care as they have to spend money on engineering, testing, and distributing the fix. And in all honesty does Google really care? They get no money from Android itself, and so long as the current version out there can send them ad revenue and information, why would they bother. Unfortunately I think it is going to take a massive security flaw that actually affects people before any of the parties involved really are forced to come up with a viable solution. Google can say that it wants to fix the problem and come up with a solution, but I feel that until the brand takes a major hit, nothing will come of it.